Using a plantar fasciitis night splint can be one of the most effective ways to treat the injury and requires little work from you. You wear the splint overnight. When wearing the splint, the fascia tissue is prevented from becoming tighter during the night, therefore avoiding those terrible morning sore feet that can occur. The night splint can also be used to treat problems with your Achilles tendon. Plantar Fasciitis is a common problem that affects the sole of the foot, where there is a band of tissue that stretches from the heel to the toes. This can become inflamed and sore to walk on, giving the sufferer stabbing pains. 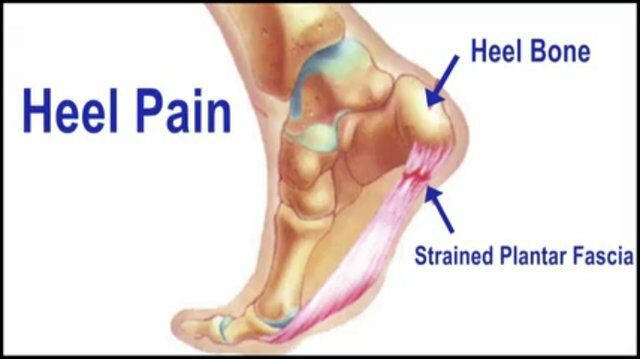 The pain is most commonly felt at the heel end, where the tissue joins to the bone. The main symptom of Plantar Fasciitis, is that you will have sore feet when you get out of bed in the mornings. Each step will be painful, but will ease off over the next 5 to 10 minutes. However, if you rest, the pain can return as the fascia tissue contracts and tightens again. When wearing the splint, the foot is held in a certain position, called “dorsiflexion“. This means that the fascia is stretched, not allowing it to contract and become tighter overnight. The great thing about a night splint, is that the remedy is quite gentle and the fascia will be returned to its proper length over a period of time. Once stretched out, the plantar fascia will become less tense and therefore will cause less pain. Some people have reported that the splint has helped them within a few nights. However, some other people may require that they wear the splint for longer periods of time before they see any benefits. This can be annoying as they can be quite bulky, but if you persevere, it will be worth it. It will be best to start wearing the night splint for a short period of time, perhaps only 1 hour, then extending it gradually each night and week. The ideal target will be to wear it overnight or for around 4 to 5 hours. This is the perfect time period for the plantar fascia tissue to extend and begin to heal. Our patient was in severe bad pain. Our patient could not work, stand, or walk. Once they came in to see Dr. Wishnie their pain went away and now they feel so much better P.S.